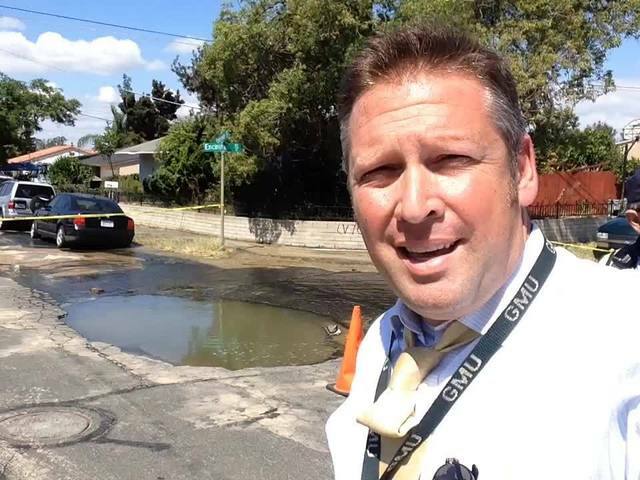 A water main break in the Lomita area has left more than 100 customers without water service and has created a sinkhole estimated to be about 5 feet deep. The main break and subsequent sinkhole were reported shortly after 11 a.m. in the 700 block of Sunnyside Avenue. 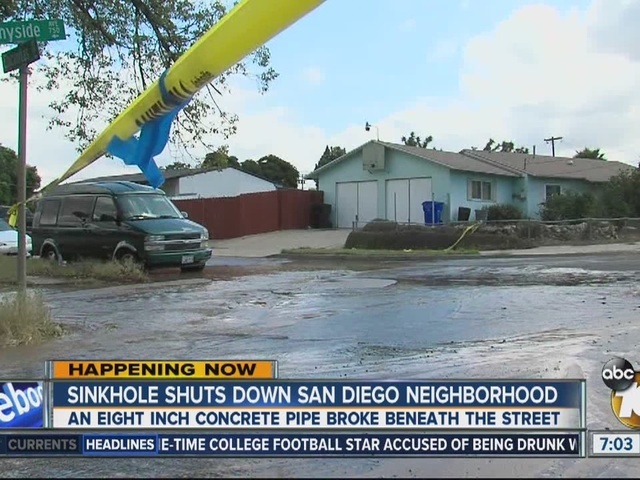 10News learned an 8-inch diameter concrete pipe that was installed in 1953 ruptured. City workers responded and shut water off in the area at about 1 p.m. Customers in the 700 and 800 blocks of Sunnyside Avenue are expected to be without water service for several hours. The break caused the formation of a 5x5 sinkhole. A city spokesman said the line should be repaired by at least 9 p.m.